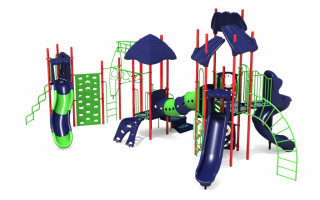 Play & Park Delivers Recreation Solutions. 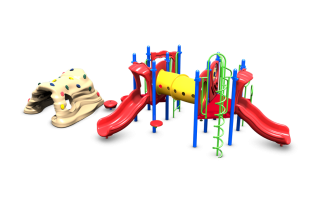 Play & Park Structures believes that an engaging and exciting playground encourages imagination and creativity, while promoting the healthy development of a child's physical and creative potential. Learn about different ways to fund your playground project. 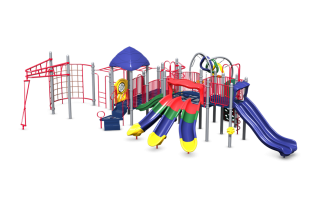 We know that planning a playground from start to finish can be an overwhelming endeavor. To make this a more positive experience, we have created a brief online guide to help get you on your way to designing the playground of your dreams. Take outdoor play to the next level with outdoor curriculum based learning opportunities, standards-based activities that maximize physical fitness, or nature-based playgrounds that increase a child's awareness of the environment and the world around them. Opening Day for PLAY SALE! 50' 6" x 34' 0"